1 minute Low Carb Mug Cakes - NEW cooking video just added!!! My daughter has been trying to make perfect low carb mug cakes for ages (I think it’s her excuse to cook something when she gets home from school). Mug cakes, for those who don’t know, are a single serve cake made in a mug and cooked in the mug. Scroll down and watch the quick cooking video to see how easy these low carb mug cakes really are. I even line up 3 mugs for my children and prepare all 3 at once for a super quick treat after school. If you’re feeling peckish, you can have a cake ready and in your tummy in under 5 minutes! Now what’s not to love about that idea? And with only 5.1g net carbs, their sure to become a staple treat when a cake emergency arises. These low carb mug cakes are made in the microwave, and so because all of our microwaves are completely different, it may take a little experimentation to get the cooking time just right (so please don’t come running back to me if yours was over/undercooked, I won’t reply because I’ll be busy eating mine 😉 ). Give them a go. If you know your microwave is pretty powerful, reduce the cooking time by a little and test the centre. You can always add another 10 seconds or so but there is nothing worse than an overcooked, rubbery cake. The recipe shown is for 1 large coffee cup size mug cake. If you prefer, you may divide the low carb mug cake mixture between 2 smaller cups but ensure you reduce the cooking time from 1 minute to 40-50 seconds. Cooking time will depend on YOUR microwave. Serve with full fat cream and berries for a real treat. Why not make a huge batch of them and serve on a tray warm to friends? Heck, even pour a little brandy over them or add brandy to the whipped cream for a grown up indulgence. Leave a comment below as to how you ‘tweeked’ my recipe. 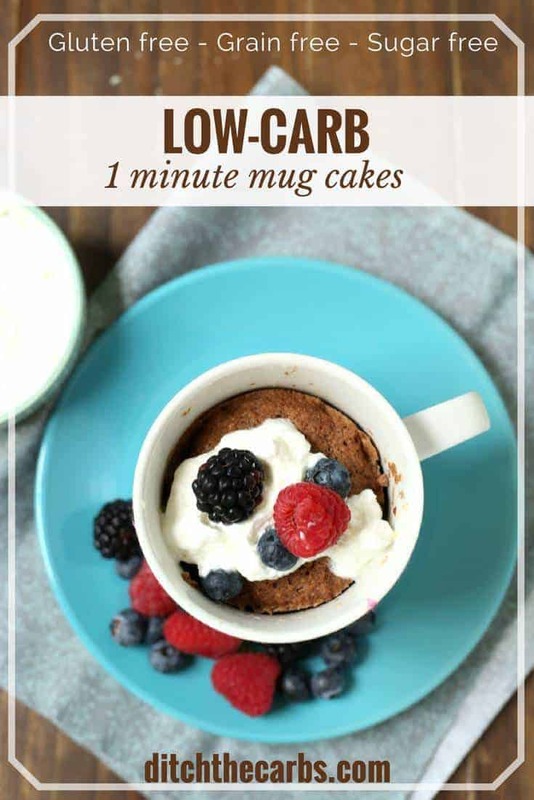 Low carb mug cakes are the perfect individual serve of chocolate cake that can be cooked in just 1 minute. 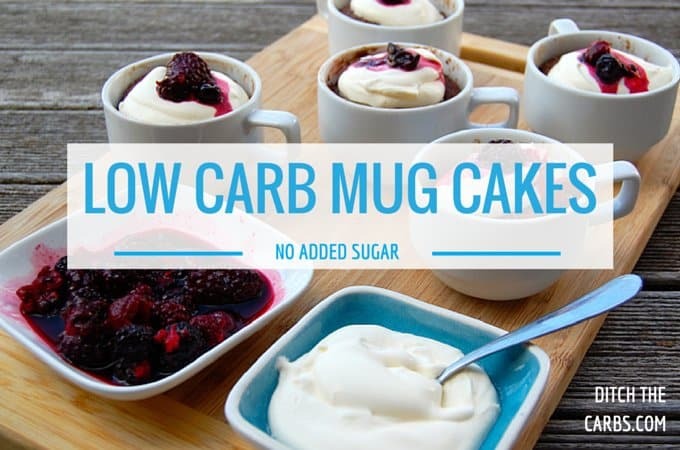 Don't reach or a high sugar cake, make a low carb mug cake instead. 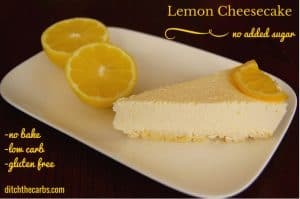 Have you seen my other low carb, sugar free, wheat free, gluten free cakes? All LCHF, Banting, HFLC and whole food friendly. 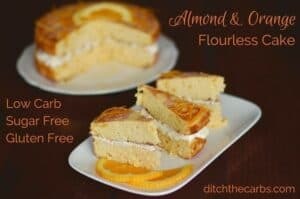 Almond and orange flourless cake – see why I don’t even bother peeling the orange! Almond flour again!! Anyone out there who has recipe books WITHOUT almond flour, I will subscribe to your posts, and buy your books. I am getting tired of seeing recipes that look good, then finding out they use almond flour, which promotes inflammation, and gives me a belly ache. Have you seen my entire collection of coconut flour recipes? You can see them all here. They are either made with coconut flour or they have a conversion for you – yay! Wow, what went wrong?? This is such a popular recipe 🙂 LEt’s see if we can figure it out. Can you explain how the calorie count is so high per muffin given the list of healthy ingredients ? No way 530 cal is correct. What can I substitute for coconut flour? Unfortunately none in the shops here. Loved this recipe. I made it without sweetener and it was delicious with thick cream and so easy. Came out really bouncy on top. I might put in a bit of cinnamon next time. That is delicious! Hit my chocolate spot Thanks! Thanks for sharing this recipe. I bet my kids will love this snack after a tiresome day at school. Well, I actually like cocoa but one of my kids hate it. Do you have any suggestions that could replace cocoa? Something less sweet? 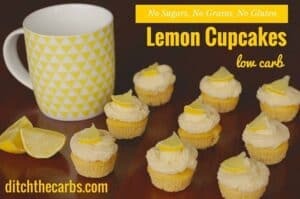 You could try a lemon mug cake? Vanilla then add a topping with berries? You may need to add a little more almond flour/meal as the cocoa has been omitted which is one of the main dry ingredients. Oh, great. That sounds terrific! I will give it a try. Thank you so much for the tips, Libby. I added 2T almond milk and a 1/2 tsp of coconut oil. It came out great!! Major fail. Not enough moisture to offset the dry ingredients. Went straight into the trash. Mmmm…made it twice tonight. Once for myself and my oldest and the second time I used coconut oil instead of butter because my baby is lactose intolerant. OMG!!! Chocolate coconut cake! I imagined toasting some coconut to toss on top of it too! It was awful!. I then sat down and looked at was in it with what the result was and made adjustments for a great result. Sorry, ghastly. stevia to my whipped cream and poured it all over the warm cake! So gooood 🙂 Thank you for this!! I’m curious as to why it is 533 calories? I’m giving this a try will add walnuts to it. Simple, quick and tasty recipe. Thank you for this recipe. I used chia seeds instead of coconut flour, and five drops of liquid stevia instead for the granulated stevia. For my microwave, it was important to use level tablespoons of all of the dry ingredients. The texture and flavor are amazing! I tried this four, yes FOUR, times and it was grossly bitter/metallic each time. I was determined that since lots of people were raving about it, that it must be something I was doing…and I found it!! Ladies, check your baking powder for aluminum. Every “double acting” baking powder I looked at, had this ingredient. And of course, the two different kinds I had BOTH had it in there! Yuck!! Once I found an aluminum-free baking powder, I tried again and…SUCCESS!! Yummy! Thanks for the recipe! That cake is so BIG. Ahhhhh, so that’s it. I have never bought double acting baking powder so would never have figured this out. Thank you so much for this. I love getting to the bottom of a mystery. Now I need to solve why some people say my walnut fudge is salty when there is none in there – hmmmm. Maybe they’re using salted butter. Just a guess! This happened to me too – salty metallic taste from the baking powder. I’m wondering about leaving it out or doing just a pinch of bicarb instead. I could beat the egg more instead perhaps. My husband follows the SCD diet for his colitis and to make this SCD friendly I’m wondering if I can drop the cocoa (maybe add vanilla instead?) and replace the stevia for honey? Sure drop the cocoa if you like, you would have to add some more ground almonds to compensate for the loss of dry ingredients. If you choose to use honey, just be aware that it will no longer be sugar free or low carb. Vanilla and/or cinnamon would be amazing flavours. Can you cook several at once? How long should you cook them for if you are cooking 4 at a time? Gosh it may have to be a case of trial and error with your microwave as there are just so many variables (power, size, cup depth etc). But for example if I were to try it in my microwave (800W) and one mug cake took 1.5 minutes, then 4 might take 5 minutes. But that would be an absolute guess. Pop them in and watch them. Press stop as soon as you see the middle cooking through. I also use a trace of honey to sweeten instead of artificial sweeteners as I’m sensitive to them, taste as well as side effects. Honey also has beneficial properties for people with allergies such as myself. I use so little as it packs a big punch. It still keeps me lchf but keeps “fake” ingredients at bay. I cannot eat any processed foods or artificial sweeteners so a teeny bit of honey is the lesser of the two evils when it comes to adding a touch of sweetness. 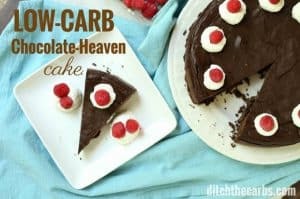 By going lchf we’ve really gotten rid of our sweet tooth but still like the occasional treat. In my opinion, it’s much healthier to use a trace of sugar than some chemically altered sugar substitute and yes, Stevia is still anot artificial sweetener that has been chemically altered no matter what plant it originated from. They are doing more studies that are showing its not as benign as everyone thinks. Hi! 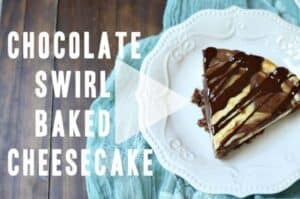 I just st made this recipe for the second time and I want to say Thank You! It was delicious both times. I used walnut flour instead of almond because that’s what I had but it was great. Thanks Vanessa for letting us know http walnut flour works also. 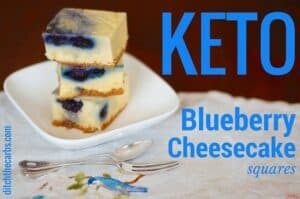 I used to make these pre-keto. They were good. This looks great too. But here’s the thing. I don’t like fake sweeteners much. There’s always a bloody after taste and it makes something that should be a sweet treat kinda eh. Try Lakanto. It’s a natural sweetener that also has 0 net carbs and has no after taste. I use it in everything that calls for sugar. It funds the website and my time, I could switch and sell protein powders and low carb bars instead? I’m happy to put up with the ads. Thank you for such great recipes! Agreed. I was about to leave and never come back. Incredibly slow to come up & crazy frustrating to close an ad, settle in, and have another and another to close (just aiming for the x – not reading any ads). Googled and downloaded adblocker (currently blocking an astounding 49 ads), and can enjoy the experience. Not my intent to offend; just to help others equally annoyed by intrusive ads. So, whipped cream. Is this heavy cream that you whip up? Do you add stevia to it, or any flavoring? Thanks! Yes. I sometimes add stevia and sometimes vanilla. My husband prefers it without either and my children prefer it with both so we alternate. Add stevia according to your sweet tooth which for all of us will be completely different. Just made this. Came out amazing. Just picked up some hazelnut meal so I gave it a try since they go well with chocolate and its lower carb than almond meal but of course more expensive. I also used coconut oil instead of butter as I didn’t have enough. In my microwave I cooked it for 1m10s and it was a hair too long. Next time I’ll try 55 seconds. Thanks for the recipe. Microwave’s sure are individual and independent little appliances aren’t they? I’m liking you’re substitutions. Great ideas. How much is an ounce of ground almonds? Don’t have a scale … and without an accurate measurement, this record is useless. I substituted the cocoa with some melted dark chocolate and it was amazing. So fluffy and light like a wheat flour cake. Claire how much melted chocolate did you sub? Sounds like something I will try! Mine was really grainy. Did I do something wrong? The texture is never going to be as fine as refined white flour but did you use ground almonds or almond flour? Which stevia did you use? Some brands are more grainy and don’t dissolve as well as others. Yes you can use raw cacao. Sometimes products use cacao and cocoa interchangeably. As long as it is dark and rich in taste. Some people get confused between baking cocoa/cacao and drinking cocoa which is full of sugar and fillers ant not much chocolate and lacks flavour. This was so yummy. Didn’t have any almond flour, but did have flax meal. Subbed that in and used probably a little less butter than it says, because I didn’t know the conversion for tbsp or tsp. I was incredibly impressed. Thank you, now I don’t have to make a huge batch of bread and feel bad for eating it lol. Awesome. Flax meal is a fabulous source of fibre and vegetable omega 3 so I bet yours was incredible. Tree nut allergies. What could I use instead? That unfortunately would have to be an entirely different recipe. Maybe try my keto brownies instead, they are nut free and incredibly low carb. seed flour or ground flax will work! Used sunflower seed meal instead of almonds (nut allergy) and it was awesome. Stirred in some cinnamon and cut up 100% dark chocolate chunks. Can I use almond flour for the ground almonds? Sure you can, I just use ground almonds in all my recipes because it is so much cheaper. Why would you eat paleo – expensive ingredients then microwave them!!!!!!!!!!! Because there is nothing wrong with using the microwave. It does nothing to denature ingredients or nutrients more than cooking in an oven does. These look good! Do you happen to know, for someone like my mom whose microwave died recently, how these would cook up in an oven if you popped the mug in there? Could you pop the mug in there?? Thanks! As long as the mug is heat proof they should work fine, if not, just pop the mixture into a cupcake tray. Free e-book? Plz tell me more! I want to do Banting/LCHF so badly, but am only succeeding in abt 40% of my meals….I need help!! Hi there. click on the photo to subscribe and receive my free eBook with recipes (some exclusive to the eBook) and you will receive emails only when I post a recipe or article. I was wondering why the recipe has so many calories? The calories come from the nuts, egg and healthy fats. When you go low carb, you no longer count calories. We count carbs as it is the carbs and the insulin that drive fat storage an hunger. it also makes an incredibly large mug cake, or you can split it between 2 smaller cups. Hi. I tried this recipe today. I loved the texture but it was quite bitter. I had it with double cream plain yoghurt and tasted much better. I’m not sure if I put in too much cocoa, or if it’s the bitter aftertaste of the stevia. I may just try it with xylitol next time. Which brand of stevia did you use? I use Natvia Brand which is blended with erythritol and doesn’t have any bitter aftertaste. “Serve with full fat cream and berries for a real treat.” … sounds good to me. Well done to you and your daughter for these ‘mug cake’ ideas – and a good tip about how microwaves vary … they certainly do, but i think we all quickly get used to timings. Thanks Jan, my daughter is definitely my chef in training. Last night she made spinach and feta parcels and a chocolate keto brownie. We had a bit of a bake off session for the week and the freezer. Oh, you meanie. Don’t you know you’re responsible for all my failures if I try your recipes? 🙂 So wipe your mug cake off your mouth… (I loved that line in your post.) My kids would love me if I let them try this. I will have to do that. I like it when they hug me. 🙂 Pretty photo too. Of course your recipe failures are my fault, as is your oven at the wrong temp, out of date ingredients, substituting ingredients, using the wrong dish and an ingredient completely missed off the recipe 😉 I do have to laugh at some of the comments I get sometimes “if I don’t have stevia can I use sugar?” “this tasted like old feet, not that I know what old feet taste like”. You soon learn to have thicker skin around here. Yay Elsa. I have subscribed you so check your email box for a welcome email. Click on that to confirm and use the link for your free eBook. Good luck and join us on Facebook too.